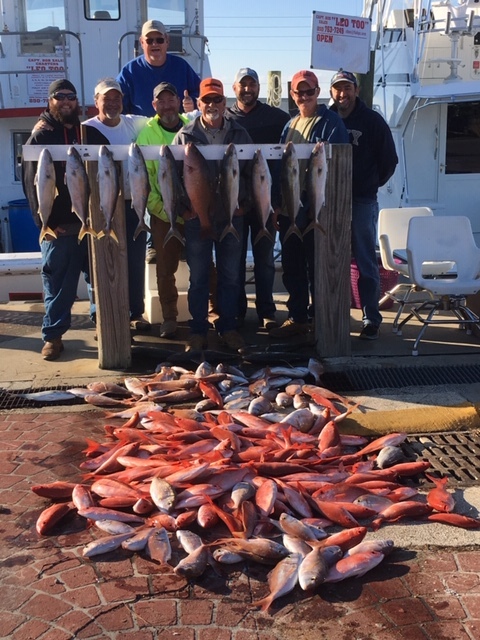 The 2019 federal red snapper fishing season for federal permitted for hire charter vessels will be from June 1 thru August 1, 2019. 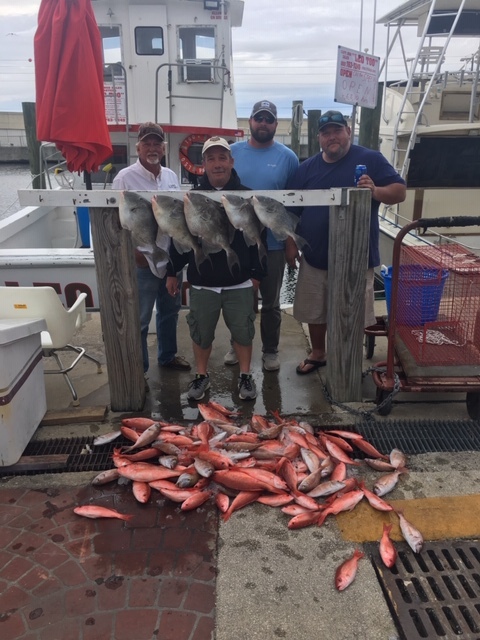 This is 62 days of red snapper fishing, the most we have had many years. In addition I want to tell everyone that Panama City Beach is up and running with all restaurants, hotels, and charter and headboats fully operational. While there was much devastation to Panama City, Mexico Beach, and Port St Joe, Panama City Beach had very little damage. In fact the workers and first responders have been staying and eating in Panama City Beach since the day after hurricane Michael. There are plenty of condos, hotels rooms, and rental houses available for you to bring your families to enjoy our beautiful beaches and the multitude of family things to enjoy. The beaches were unharmed and are as perfect as ever. All indications are we are set for a fantastic fishing year. 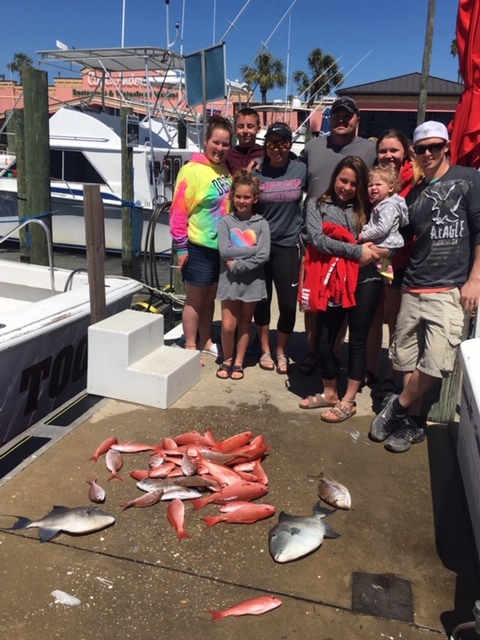 Fishing has been great so far with good catches of vermilion snapper, red porgy, and triggerfish. 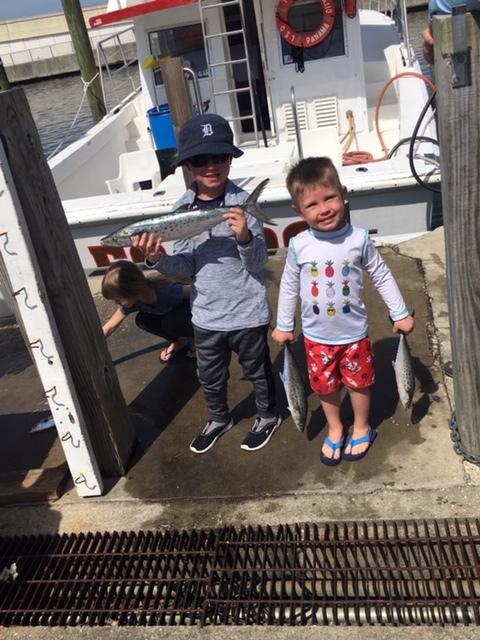 Spanish mackerel will show up any day as the Gulf and Bay waters warm up. Cobia should show up at the beginning of April and king mackerel should show up by the end of April. Greater Amberjack are set to open on May 1 and triggerfish should be open thru May. Call today to reserve your trip and we can help you find a place to stay should you have difficulty finding one. We look forward to seeing all our return customers and look to carry new ones for a great fishing experience. I want to wish everyone a Merry Christmas and Happy New Year as this year comes to a close. We had a great year of fishing until October 10th when Hurricane Michael landed. While there is much devastation around us with severe damage to several charter and headboats we are blessed to have come thru the storm with little damage to the LEO TOO and repairable damage to my home and my parents home. Capt Anderson's Marina had some damage but the marina is operational and we are ready to fish. We want everyone who fished with us in the past that we appreciate your business and look forward to carrying you this coming year of 2019. While Panama City Beach had some damage over all the area is pretty much up and running on all levels. The condos, hotels, and other rentals will have plenty of space for you. Almost all the restaurants are up and running, the amusements for the kids and adults are ready for you as well. The beaches were not hurt at all and are as pristine as ever for your enjoyment. We are taking reservations for the 2019 fishing season. 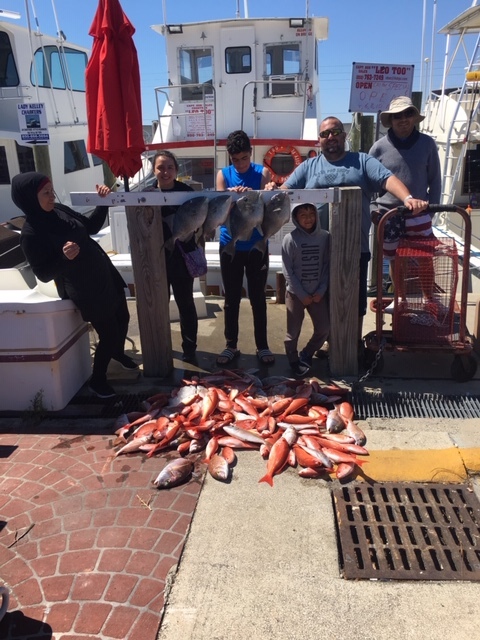 Red Grouper, scamp, vermilion snapper, red porgies, and other reef fish are biting. Gag grouper are closed until June 1, Red snapper will open on June 1 and may run thru all of July and maybe a week in August. Trigger fish should open on March 1 and run thru May 31 and open agian on August 1. 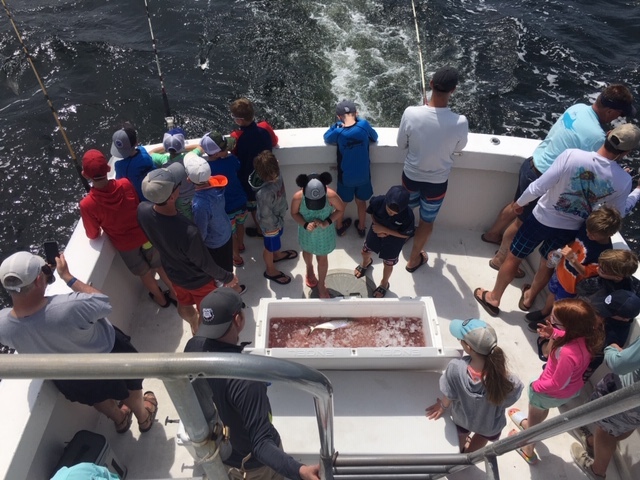 Greater amberjack should open on May 1 and run thru May 31 and open again on August 1 thru October 31. 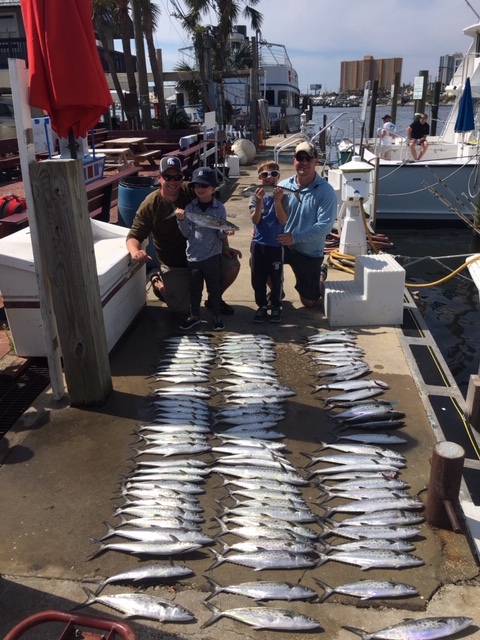 Spanish mackerel should show up in March and King mackerel should show up in April. Cobia should show up in mid March and dolphin fish (mahi-mahi) and wahoo should show in May. 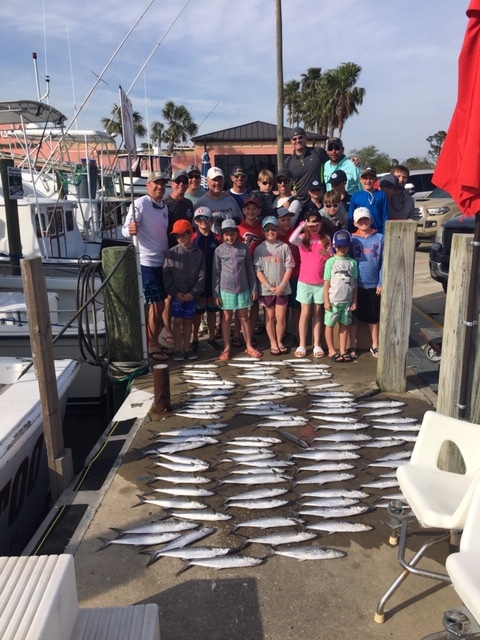 We are ready for all of them so call today to book your 2019 fishing trip. We look forward to another great year of fishing. The LEO TOO is back at Capt Anderson's Marina and ready to fish. Call today to book your trip. We survived hurrican Michael and are ready to take you on your next fishing adventure.